The Inspector-General of Police, Ibrahim Idris, is in the news again. Few days after a video where he allegedly had problem reading a speech at a function went viral, he has come under heavy attacks from Nigerians. He is under attacks over his failure to withdraw policemen attached to some ‘very important persons’, especially politicians and other private-sector players, who are not constitutionally entitled to have policemen as aides. It was gathered on Saturday that thousands of policemen were still guarding former political office holders, including ex-senators, former governors, and ex-House of Representatives members, as well as businessmen who were enjoying police protection at the expense of the public. The IG had announced the withdrawal of the policemen on March 19 and gave April 20 as the deadline, but checks showed that the majority of the personnel had yet to return to their respective commands, a month after the deadline expired. The announcement followed a disclosure that about 80 per cent of policemen were working as security guards to prominent Nigerians. Apart from those attached to politicians and other VIPs, it was learnt that many zonal commands and formations had surpluses of policemen who were not engaged in core policing duties. A source explained that each of the 36 state governors also had at least 200 policemen attached to them. 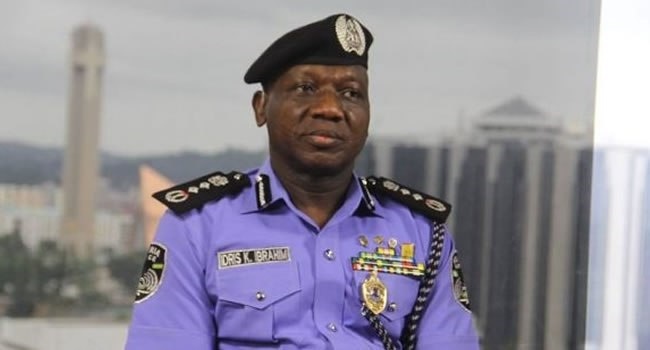 On why the IG did not withdraw the policemen from the VIPs, a senior officer said, “The IG would not withdraw the policemen from VIPs because he doesn’t want to be blamed in case something untoward happens to any of them. That is why he said the VIPs should revalidate,” the officer explained.